Did you know that poor foot posture can be the cause of hip, knee, or back pain? Custom fit orthotics will help! At Rise Up Physical Therapy we pride ourselves on making the BEST custom fit orthotics in Erie, PA. Jennifer Doyle, DPT performs a thorough evaluation of your foot, standing posturing, and gait. She also takes into account the affect that your foot posture has on the rest of your body during functional movements. She then works to determine why your foot posture and gait dysfunction are causing the foot pain or injury that you are suffering. Jennifer makes a plaster cast of your foot right in her office and then sends the cast with all of your measurements off to her fabrication lab. You and Jennifer together will decide how to manufacture a device for your special needs. 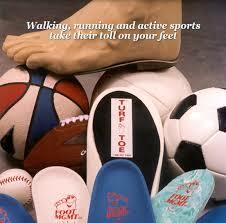 Rise Up Physical Therapy offers a large variety of custom orthotic options. Our PFOLA accredited lab is staffed by professional lab technicians who manufacture a top quality product. In addition to tried and true hand crafting, we utilize state of the art digital imaging and milling equipment to produce products that are made with pride by people who care. We have the Tenderfoot® soft for the arthritic or diabetic individual and the Tenderfoot® Medium or Firm for the athletically inclined. The Ortho-Arch II or the Lo-Pro are also highly recommended for people who stay active at work or on the field. Specialty Orthotics are also available. We maintain your cast for five (5) years so remakes can be easily ordered by phone. Some clients will order multiple pairs of orthotics for different shoes. 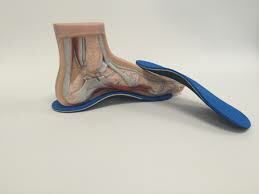 We can fabricate orthotics for any shoe from a soccer cleat to a dress shoe to a work boot. Upon casting the custom orthotic, your order takes approximately 8 working days in the lab to complete the product. We do offer a 2 day lab rush service upon request at an additional charge. Air shipments (Federal Express Overnight or 2 day air) are available, and their shipping cost will be added to your invoice. The average time it takes from the orthotic evaluation/casting to receiving your orthotics is 2 weeks.